All 50 states in the United States produce wine, including Hawaii. 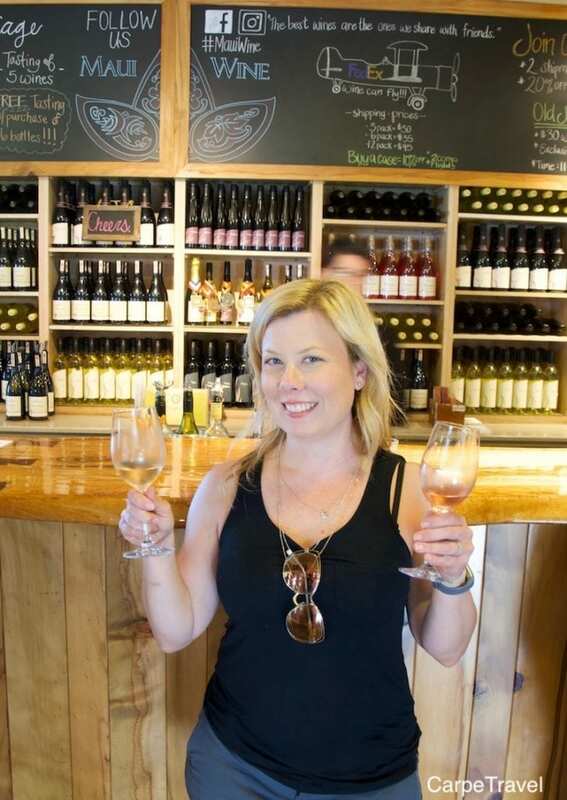 On our last trip to Maui my family reluctantly woke up early and gave up one of their coveted days at the beach to trek up into the mountains so I could work towards my goal of visiting a winery in each of the 50 states. We were heading to MauiWine, one of two wineries in Hawaii. The wine is good. Better than good. I promise. It makes for a great stop along the Road to Hana if you’re making that drive. And…it’s fascinating to see/learn how pineapple wine is made and learn about the grape varietals they’re producing. 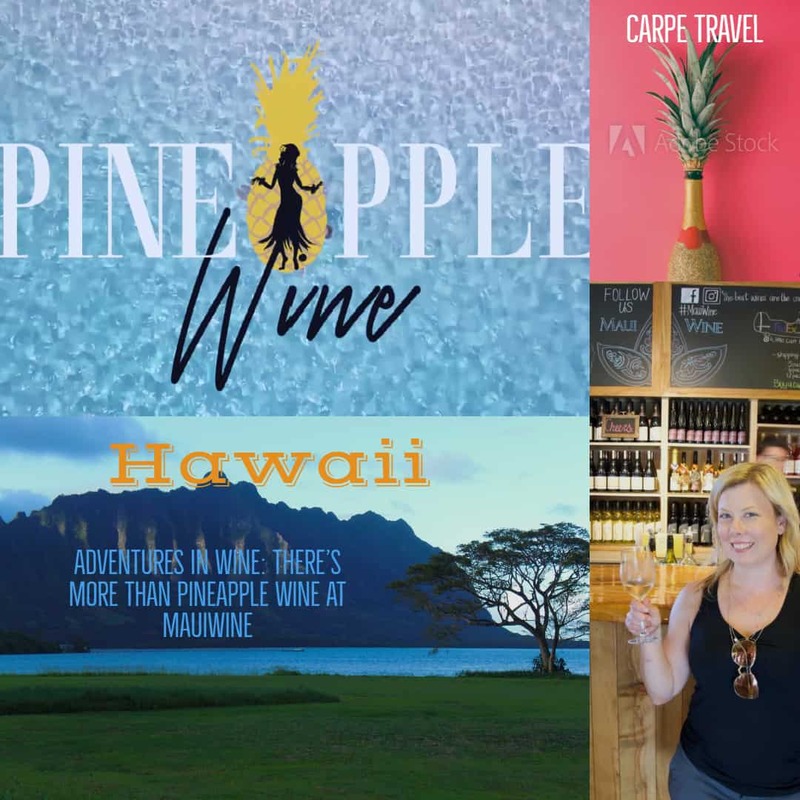 Yes, MauiWine does A LOT more that pineapple wine. 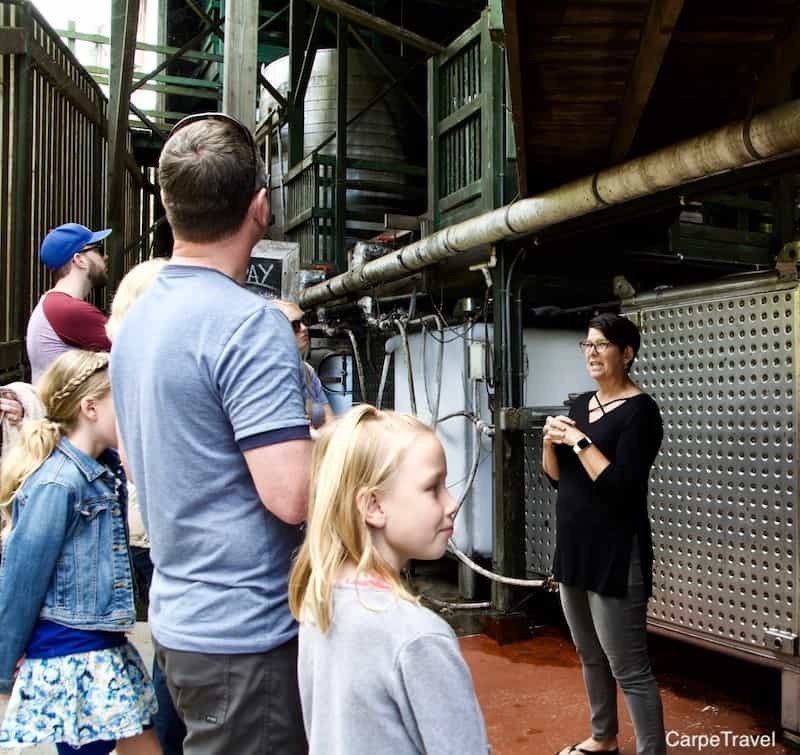 If you are able to visit MauiWine, try to go on one of the free tours they give as you will be provided context and background as to how their winemaking process is different than that on the mainland. The free, 30-minute tours are everyday at 10:30 am and 1:30 pm. Even better, stay for the Old Jail tasting at 11:15. This is a reservation only tasting where you will sip four select wines, along with small taste pairings that enhance the palate. The wines offered in the Old Jail frequently change, and each unique lineup can include unreleased wines, library releases, special bottlings. The thing to note about this specific tasting is if you’re traveling with kids, they can’t be in the Old Jail during the 40-minute tasting. Only those who are 21-years or older can be. In other words, we missed this tasting BUT we got our fill in the tasting room doing our own sipping. 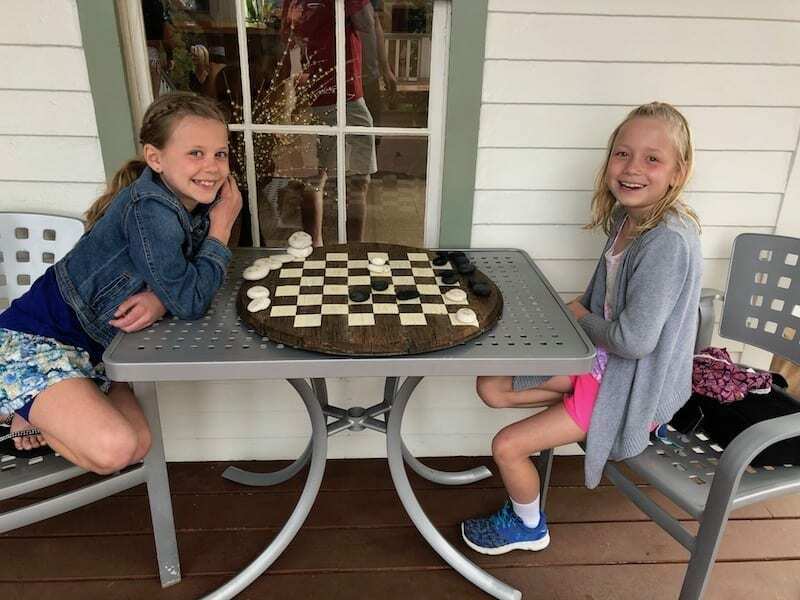 Even better, the Princesses were able to entertain themselves walking through the small museum attached to the tasting room and then playing checkers on the patio. MauiWine crushes 30 tons of pineapple once a month so your visit may likely end up on a “crush day”. In that case, you will see how they press ENTIRE pineapples (stems and all), transport the juices into a stainless-steel tank in their open-air facility. As Princess Two reminded me when I was writing my notes, they crush the entire pineapple to add a variety of flavors and depth to the wine. The open-air facility used for aging wine at MauiWine was a new one for me. There are no traditional barrel rooms given the high humidity in Maui. Which also explains why their newest addition – Syrah – must be aged in a stainless-steel tank with wood chips added. Oak barrels would simply cause the wine to spoil. Have you sipped Pineapple wine before? To my surprise it was aaaamazing! Light, a little fruity and ever so refreshing. But, Maui Wine doesn’t just produce pineapple wine. Albeit, of the 20k cases it produces a year, only 1k is wine produced from grapes. Of those grape varietals, Chenin Blanc, Syrah, Malbec, Grenache, Cabernet Sauvignon are being produced. My favorite red wines at MauiWine were the Mele, a red blend with Syrah, Cabernet Sauvignon, 2016 Grenache and the 2015 Syrah. As for the white wines produced at MauiWine, the majority are pineapple wines, both dry and sparkling. However, the Chenin Blanc is a must sip wine. Do the free tour. They’re everyday at 10:30 am and 1:30 pm. Grab a flight for a tasting along with a cheese and charcuterie board. 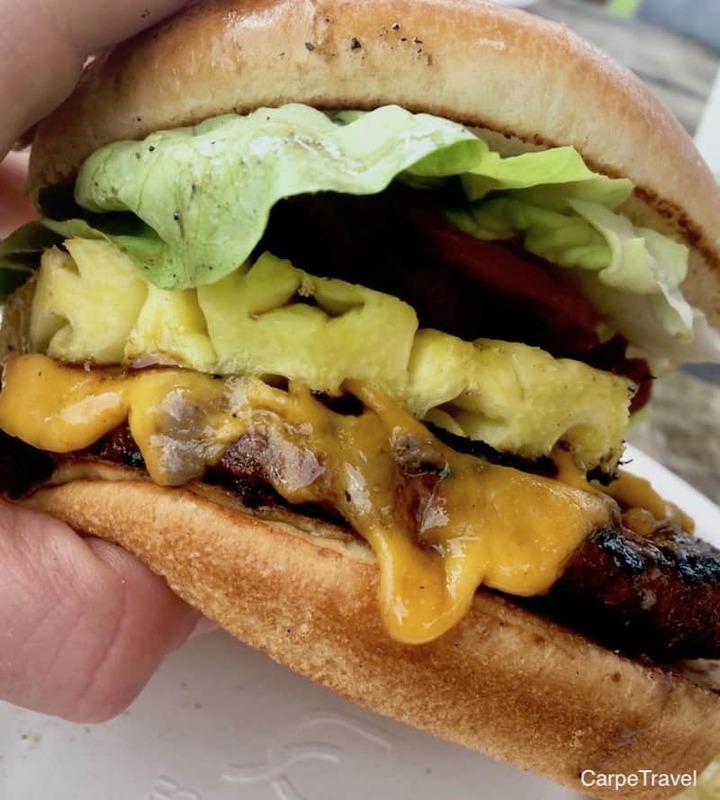 Go across the street to Ulupalakua Ranch Grill for one of the most amazing ranch-raised elk, lamb or beef burger. I highly suggest adding a grilled pineapple. Delicious!! There is only one road you can use to access MauiWine – HWY 37. Several maps may show a “shortcut, but they’ don’t exist since these “shortcuts” are all privately owned roads that are blocked, including one Oprah personally owns. From Central Maui, take Hana Highway (Route 36) to Haleakala Highway (Route 37). Heading up the mountain, stay on Hwy 37 all the way to the little community of Keokea. It’s a beautiful drive! In addition to MauiWine, there are technically two other wineries in Hawaii. Volcano Winery in on the Big Island near Volcano National Park. If you’re planning to visit, make sure to call in advance to confirm they’re opening times given the recent volcano activity at Volcano National Park. 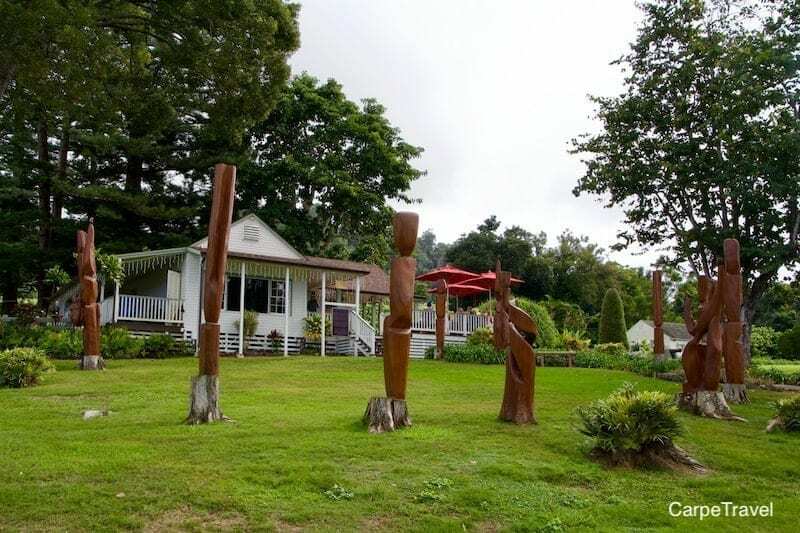 As for the third winery, Oeno Winemaking on Oahu does not produce/source its grapes from Hawaii, but it does offer some interesting blending experiences for visitors. I really love beer. 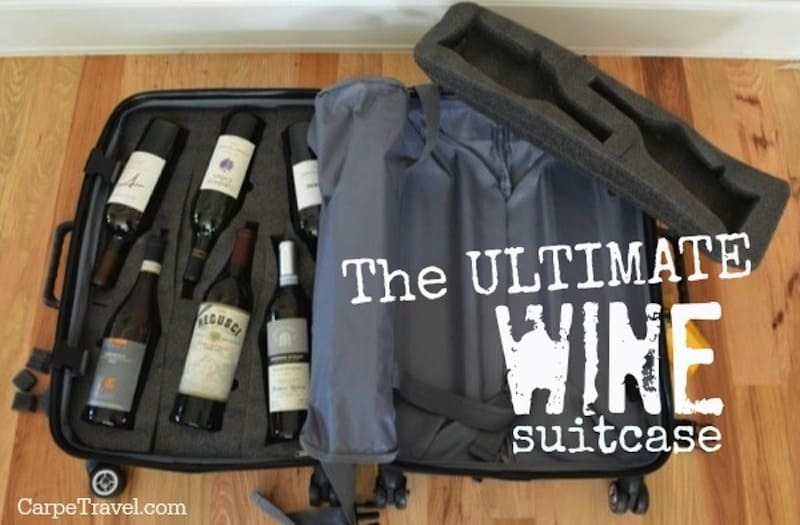 Thanks for sharing this article and it is really adventurous destination famous for wine lovers. Great post! I didn’t know about several of these resources and I’m going to go check them out now! because I love wine!